Integral is a melodic tech-death outfit from Bergamo, Italy. Having released their album ‘Resilience’ on the 5th of May, fans of Beyond Creation, The Faceless, and the Black Dahlia Murder will be pleased to know that there is indeed a lot of technically proficient string work, progressive interjections, and a daring dip into a fusion of unexpected genres. However, when it comes to technical death metal, there is only one question that matters… is this one of the few good albums of the genre, or just another inherently bad one? Let’s find out. The opening thrash track that is “Collapsed Cubes” is an incredibly progressive track considering the duration is just under four minutes. There are so many interjecting segments without a hint of wankery. I can certainly hear a lot of Black Dahlia Murder influence, except so much more rich with notes and vocal versatility. This first track will definitely win over the most skeptical of death metal fans. “In(Earth)” proceeds in the same manner the previous track began until thirty seconds into the track. This is actually slower song with many pinch harmonics and use of high black metal vocals. Two minutes in however, the pace picks up for a little while before descending into a mellow acoustic passage – this is where the Opeth influences shine, luckily though, this is a band that knows better than to overkill the acoustic passages by keeping the exchanges in songs fresh and unpredictable – so far so good. The very first segment of “Realm of Atlantis” gave me a mental image of a fly wandering aimlessly and getting electrocuted every few seconds – it just felt like gibberish. Needless to say, this track didn’t work for me until the thirty second mark. Beyond that, it improves, and I get the image of an athlete jogging through an insane thrashing obstacle course; jumping, ducking, rolling etc. Really gets better. Then at about a minute and a third in, there are some subtle breakdowns and grooving bass lines over a mellow passage – I have to say, interludes truly are some of this band’s stronger points. Now, while there are some melodic guitar leads and solos, I would have to say that the height of this song is the smooth jazz interlude roughly four minutes in. “Mac Brazel” is the album’s best track for so many reasons. For one, it has one of the best intros on the album, along with some of the best verses. We come across a good melody a minute and a half in and notice there is so much emotion vocally and instrumentally – something I feel a lot of the other tech death bands are missing. We encounter breakdowns right before another smooth jazz segment containing a nice shredding solo not unlike Dream Theater’s John Petrucci, which quickly escalates into a catchy rhythmic hook. If this band is hoping to put a song on the radio or get concert slots with well-known bands, this would be the first track they should use. Unfortunately, “Hieroglyphica” is a track that I find to go from positive to negative at a frustrating rate. The death metal flow starts off well, gets spoiled around the thirty second mark by some half-time melting interjection, but then recovers at the fifty second mark with a good rhythm that then leads into a breakdown. Two minutes in, the riffs don’t really go anywhere. But then roughly thirty-five seconds later it gets interesting again in what I can best describe as a lullaby anthem sung by a wandering bass line – I’m not having a laugh, this is my favorite part of the song. After that, it builds and builds with a lead which gets faster and faster, climaxing into a tasty lead complete with sweep picking, but then of course it’s spoiled near the end with that same half-time melting interjection. Oh well. Now, “Room With A View” does have a melodic death and thrash rhythm that works impeccably for the most part, but I feel that the vocals just didn’t really fit in anywhere. I think this track should have been the instrumental track of the album as I find the vocals to be distracting from the track’s instrumental strong points. “Self-made Oblivion” has the best use of breakdowns which tie beautifully in the black metal tremolo picking segments. The bass line does a marvelous job of walking around and enriching the more simplified guitar segments, while the bridge is an interesting experiment with funk. I’ll be honest, adding funk to metal in my opinion is like putting pineapple in the pizza. Needless to say, I was stoked for the return of the breakdowns. They say that every tech death drummer is better than Joey Jordinson, I wonder what that makes every tech death bassist to James Jameson… just a thought. This bass player in particular is insanely melodic and talented, easily stealing the spotlight in “Mechanical Existence Construction”. The song has a wonderful tapping intro that really gives the song a melancholy feeling, and I am so pleased with how the melancholia continues throughout the song, even through the heavier segments, but sometimes it’s just the melodic bass hums that perfect everything. I actually wished they didn’t have their jazz interludes in this song just because I feel that this song was perfect without it, especially the emotionally shrieking choruses. “Out There In Silence (Eclipse)” is a mellow and soothing outro I would love to see used in the soundtrack of a movie. Seriously, one could pick any sad scene they want, once this track starts playing in the background, there won’t be a single dry eye in the audience. Overall, I give this album 7.7/10. Many of the tracks and their segments proved exceptional, some revolutionary even, but there were small snippets that just didn’t work for me. So in response to the question I had earlier, yes ‘Resilience’ is in fact one of the better albums of the tech death genre… of the last two years actually. Well done, guys. 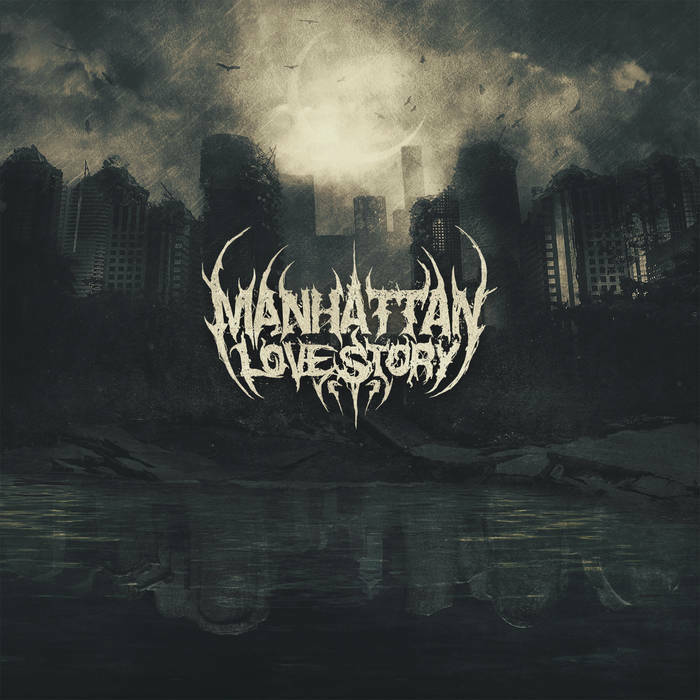 Purchase Manhattan Lovestroy's new album now! If you want to support the site, donate! Copyright © 2011—2019 Pig Squeals and Breakdowns.